The approach to social and historical research that I favor is one that pays attention to the heterogeneity and contingency of social processes. It advises that social and historical researchers should disaggregate the large patterns they start with and try to identify the multiple underlying mechanisms, causes, motivations, movements, and contingencies that came together to create higher-level outcomes. Social research needs to focus on the micro- or meso-level processes that combined to create the macro world that interests us. The theory of assemblages fits this intellectual standpoint very well, since it emphasizes contingency and heterogeneity all the way down. 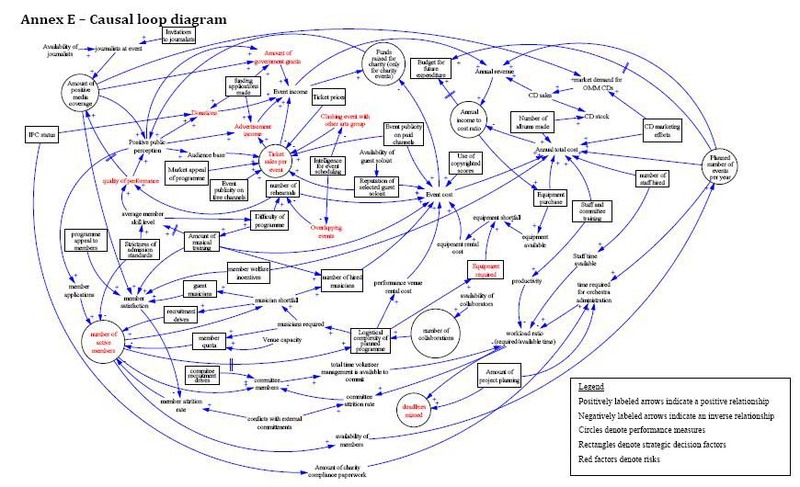 The diagram above was chosen to give a visual impression of the complexity and interconnectedness of factors and causes that are associated with this approach to the social world. Onerous conditions of the Treaty of Versailles caused the collapse of the Weimar Republic. The Chinese Revolution succeeded because of post-Qing exploitation of the peasants. The Industrial Revolution occurred in England because of the vitality of English science. Instead, each of these large outcomes is the result of a large number of underlying processes, motivations, social movements, and contingencies that defy simple summary. To understand the Mediterranean world over the sweep of time, we need the detailed and granular research of a Fernand Braudel rather than the simplified ideas of Johann Heinrich von Thunen in the economic geography of central place theory. In situations of this degree of underlying complexity, it is pointless to ask for a simple answer to the question, “what caused outcome X?” So the Great Depression wasn’t the outcome of capital’s search for profits; it was instead the complex product of interacting forms of private business activity, financial institutions, government action, legislation, war, and multiple other forces that conjoined to create a massive and persistent economic depression. This approach has solid intellectual and ontological foundations. This is pretty much how the social world works. But this ontological vision about the nature of the social world is hard to reconcile with the large intellectual frameworks on the left and on the right that are used to diagnose our times and sometimes to prescribe solutions to the problems identified. An ideologue is a thinker who seeks to subsume the sweep of history or current events under an overarching narrative with simple explanatory premises and interpretive schemes. The ideologue wants to portray history as the unfolding of a simple set of forces or drivers — whether markets, classes, divine purposes, or philosophies. And the ideologue is eager to force the facts into the terms of the narrative, and to erase inconvenient facts that appear to conflict with the narrative. Consider Lenin, von Hayek, and Ronald Reagan. Each had a simplified mental framework that postulated a set of ideas about how the world worked. For Lenin it was expressed in a few paragraphs about class, the economic structure of capitalism, and the direction of history. For von Hayek it was the idea that free economic activity within idealized markets lead to the best possible outcomes for the whole of society. For Reagan it was a combination of von Hayek and the simplified notions of realpolitik associated with Kennan, Morgenthau, or Kissinger. There are two problems for these kinds of approaches to understanding the social world. First is the indifference ideologues express to the role of facts and empirical validation in their thinking. This is an epistemic shortcoming. But second, and equally problematic, is their insistence on representing the social world as a fundamentally simple process, with a few driving forces whose impact can be forecast. This is an ontological shortcoming. The social world is not simple, and there are not a small number of dominant forces whose effects overshadow the myriad of other socially relevant processes and events that make up a given situation. Ideologues are insidious for serious historians, since they denigrate careful efforts to discover how various events actually unfolded, in favor of the demands of a particular interpretation of history. It is not possible to gain adequate or insightful historical knowledge from within the framework of a rigid and dogmatic ideology. But even more harmful are policy makers driven by ideologies. An ideological policy maker is an actor who takes the simplistic assumptions of an ideology and attempts to formulate policy interventions based on those assumptions. Ideology-based policies are harmful, of course, because the world has its own properties independent from our theories, and interventions based on false hypotheses about how the world works are unlikely to bring about their intended results. Policies need to be driven by theories that are fact-based and approximately true. And policy makers and officials need to be rejected when they flout science and fact-based inquiry in favor of pet theories and ideologies. A hard question that this line of thought poses and that I have not addressed here is whether policies can be formulated at all within the context of a fundamentally heterogeneous and contingent world. It might be argued that policy formation requires fairly simple cause-and-effect relationships in order to justify the idea of an intervention; and complexity makes it unlikely that such relationships exist. I believe policies can be formulated within this ontological framework; but I agree that the case must be made. A few earlier posts are relevant to this topic (link, link, link, link, link).